Nearing the end of another month! I can't believe next week is October! I am finally seeing some progress with these products in my 12 Empties of Christmas which makes me feel more confident in finishing the 12 products up by the end of the year. 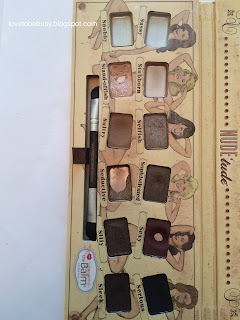 I included this palette in my 12 Empties of Christmas since I was focusing on using it up anyways. I finished 3 shades at the top at my last update. 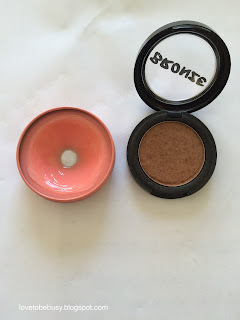 I started focusing on Standoff-ish, Sultry, and Seductive along the bottom row for my eye look. I hope to finish those three by the next update in a month. 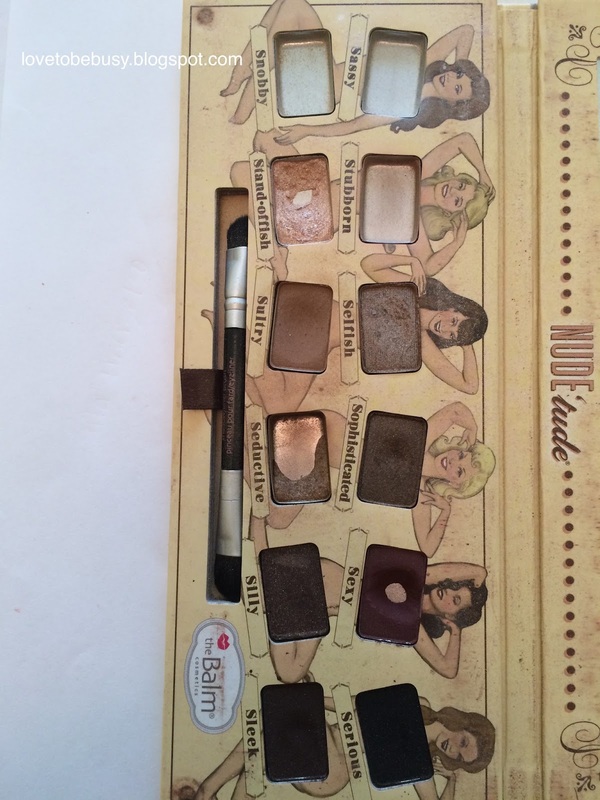 I know I won't finish this palette because I won't get through all the dark shades. However, a few of them are very glittery and I am not a fan so I'm unsure what I do with those shades at the end of the year. The Snow rollerball perfume - more than half finished. When I focus on using this, it goes pretty quickly so it could be done next update. The pump - holds a mix of the Neutrogena foundation in this project and the Garnier BB cream in my Finish 9 by New Years to get a better shade match. I've using a tiny bit but this is what I will be focusing on now that I finished an older foundation. 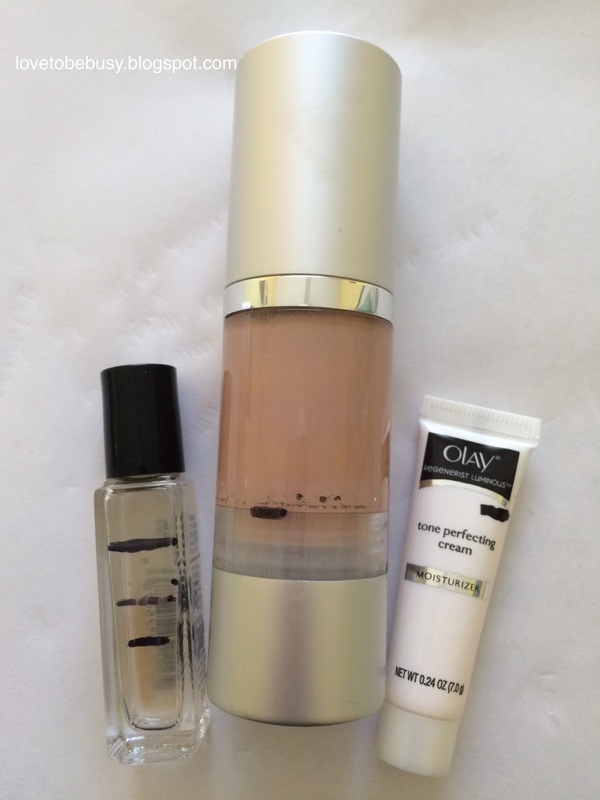 Olay tone perfecting cream - great moisturizer. I marked it at the line but I've been using it awhile and I'm guessing it is a bit less or there is some air in there. Exuviance cleansing gel - started with this one after I finished the cream cleanser. I've been focusing on using some samples so it hasn't gotten used as often as it should in the month of October. I'm pretty confident this will be finished. 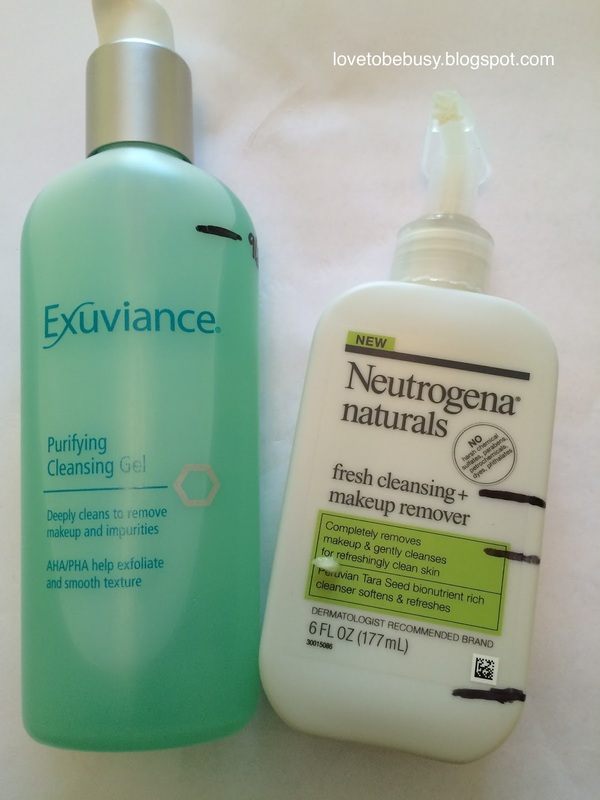 Neutrogena naturals face wash - I am at the line way down at the bottom so this should be finished soon! I will add in the Neutrogena acne wash that I haven't started yet to replace it. These three products are impossible to mark. 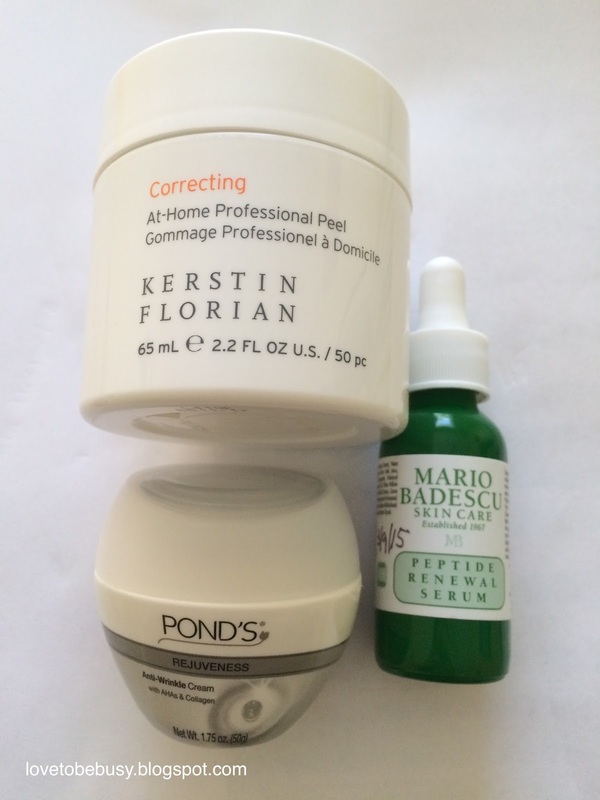 I use the Mario Badescu serum and Ponds cream at night before bed. 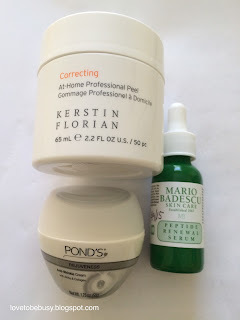 I use the Kerstin Florian pads each week. I only use 1 pad though so I'm not sure I'll finish all 50 before the end of the year unless I use more than one. Which I might want to do so I finish them before they go bad. I have not started two products: Neutrogena Acne Wash and Calvin Klein Euphoria rollerball mini. I will add these two products in when I finish one of the face washes and the Snow rollerball. I have finished 4 of the 17 products I have in the project so I'm pretty happy with my progress at this point. *All products were purchased with my own money. I was not compensated in any way for this post. All opinions are my own.